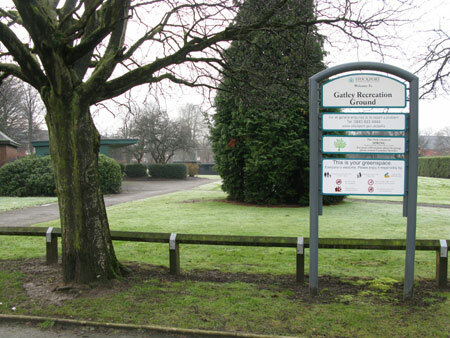 A very pleasant and deceptively large park in the heart of Gatley. Maintenance and facilities are good. It has facilities for bowls, tennis, a well equipped playground and a skatepark which was paid for from Landfill Tax Credit money. The park is not big enough for football but there are good sized grassy areas and flower beds.